South Dakota High School Basketball Hall of Fame » Chuck Welke Jr.
Chuck played for Warner from 1990-1994. The Monarchs were 88-9 during that stretch of games. He participated in four straight Class B state tournaments. This included three state championship games with Warner winning back-to-back titles in 1993 and 1994. The Monarchs were runner-up in 1992. Chuck was a three time all-state selection and was named the state’s Mr. Basketball in 1994. He ended his high school career as the number two scorer in South Dakota history. In his four years as a member of the Monarchs he scored 2,550 points and recorded 1,250 rebounds. Chuck felt fortunate to play with many excellent players including South Dakota great Chris Rozelle. He also felt honored and privileged to play for his father and outstanding coach, Chuck Welke Sr. 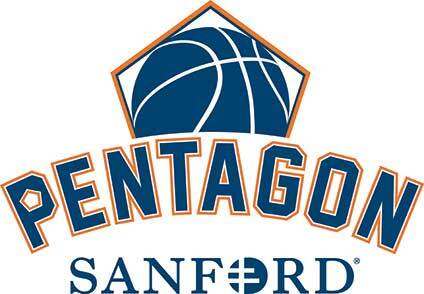 The University of South Dakota recruited the 6-foot-6, 185-pound all-purpose player. He was a four-year starter for the Coyotes and served as team captain during his junior and senior seasons. 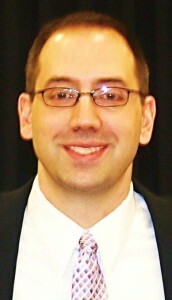 He was an all-academic performer for three years and was named to the all-North Central Conference first team in 1998. Chuck married the former Kara Kettering. They have three lovely children: Jada Ann, Jasmine Dakota and William Charles Welke. The family lives in Thompson, N.D., where Chuck works as a psychologist. We are proud of all of Chuck’s achievements on and off the court. He certainly deserves to be in the South Dakota High School Basketball Hall of Fame.